Our extensive academic tutorial program provides free weekly tutorials for university units, with effective, unit-specific help giving you the tools to excel. We also provide dedicated tutors for general study skills. With our vast alumni network, we can connect you with a Georgian mentor for career advice, help forming networks and potentially gain valuable professional experience while studying. Our 'Fireside Chats' are informal Q&A sessions with leaders in their respective fields, giving you the chance to obtain unique perspectives on academia, industry, government, and the wider community. 'Practice of...' Dinners are aimed at students studying a specific field. Guests who are professionals in their field are invited to come speak to the students and pass on some of their knowledge. Regular Formal Dinners are held in the Dining Hall and include a three course meal, musical entertainment and the opportunity to hear from extraordinary guest speakers. Past guests have included former Prime Ministers and other Ministers, Nobel Prize winners, CEOs and UN ambassadors. Interested in learning something new? Each semester we run a range of beginners' classes, with subjects as diverse as piano, photography, public speaking and foreign languages. Yes, there are parties. 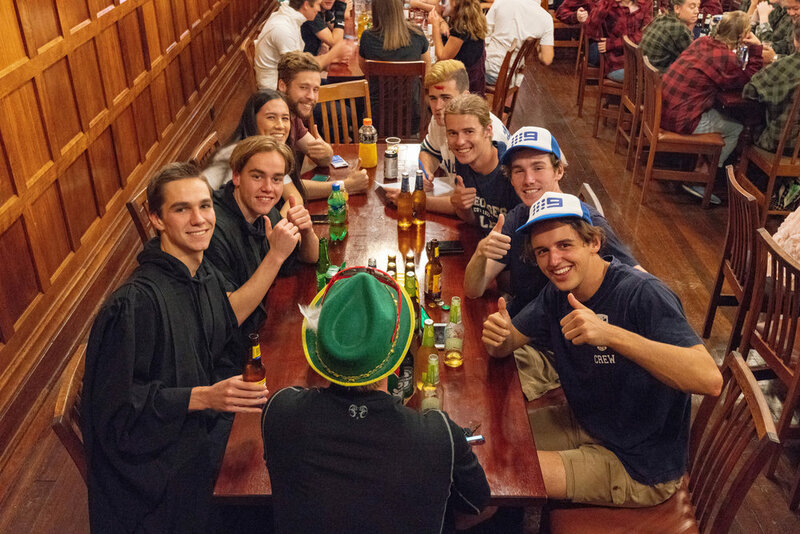 Whether you're costuming-up for a theme, going out for some cocktails, staying in for some cocktails, winning a quiz night, role-playing a murder mystery, cheering at Battle of the Bands or the Melbourne Cup, or beating the entire College at Mario Kart, we'll make sure you have a fun, safe and inclusive time. 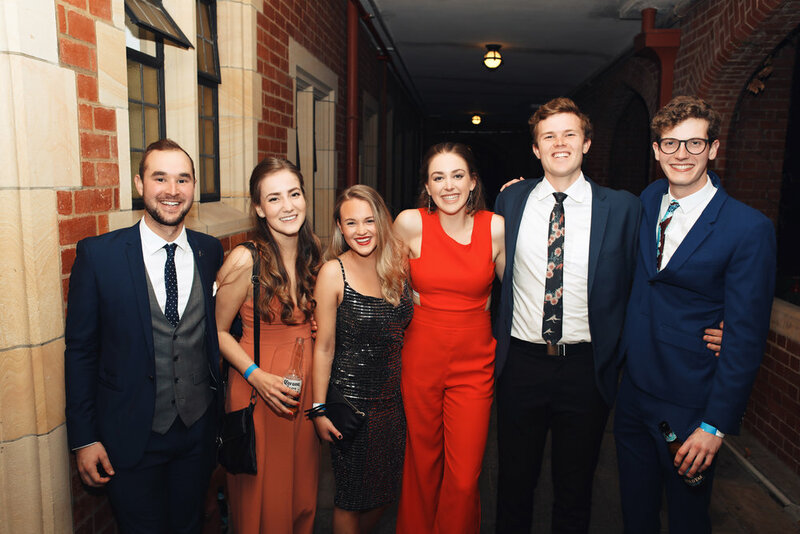 One of our annual highlights is the St George's College Ball. In previous years the College Quadrangle has been transformed into a beautiful Japanese scene, an Arabian night and a Spanish sunset. The only question remaining is what will this year be like? If music is your passion then we're the college for you! We offer a range of performance opportunities within the College and or at inter-college competitions, and we also provide music lessons and tutoring where you can learn a new skill or advance your current knowledge. The annual College Play is entirely produced, directed and acted by St George's residents. Recent productions have included The Princess Bride, Edward Scissorhands and The Wind in the Willows. 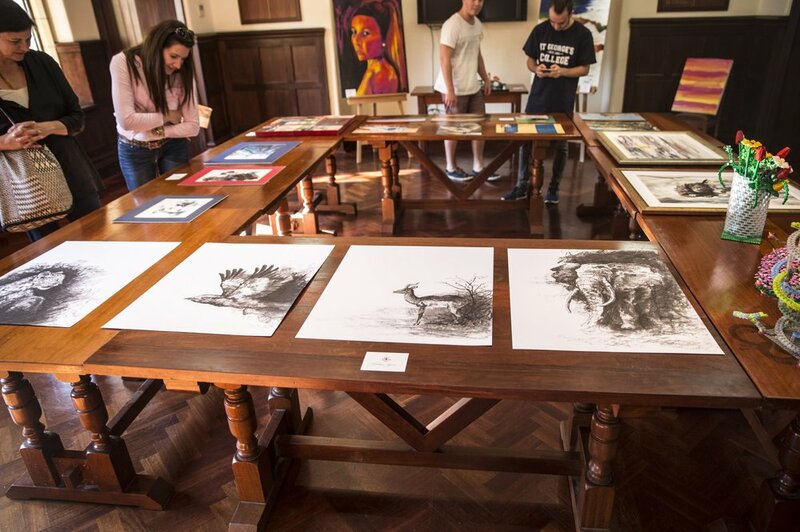 If you're into art and photography we've got you covered, with a weekly art club, photography club, and exhibitions. There's also the opportunity for students to be involved in creating material for our events and marketing. We put on a variety of resident arts nights each semester, whether you want to sing, play, dance, act, or tell some terrible jokes. Highlights include Folk Night, Rooftop Acoustic concerts, and Classics Dinners. The Mockingbirds and Newby Blues are our barbershop vocal groups for female and male singers. Both perform regularly around Perth and interstate, and it's a great way to get involved in music! "Music at St George's" is a leading chamber music concert series and educational program, featuring the best young classical musicians in WA. Keep an eye out for the participation of some of our residents! The packed Inter-College Sport calendar features an event every weekend, from athletics and swimming carnivals to AFL, soccer, hockey, tennis, netball, cricket, touch rugby, rowing, volleyball, and more. Our sporting community is also active within the college, whether you enjoy a casual hit of table tennis or soccer on the front lawn. College residents receive free membership of the UWA Recreation and Fitness Centre, just a two-minute walk across the road. The Centre is fully equipped with more than 120 exercise machines and runs 40+ fitness and recreation classes per week. It also offers easy access to a wide range of sports courts, including tennis, netball, squash, basketball, badminton and volleyball. We also have a very active relationship with our alumni, which includes extremely high-stakes events like the annual Residents vs Georgians cricket match. Our students have been the leaders behind some of our most successful initiatives, including Student Car Share, College solar panels, a student-run College Cafe, and impactful volunteer organisations like Teach Learn Grow. St George’s offers a range of leadership opportunities to students. We have Resident Advisers who are crucial in supporting residents' safety and well-being, as well as Executive, Committee and Manager roles which involve leading the student body and organising and running events. 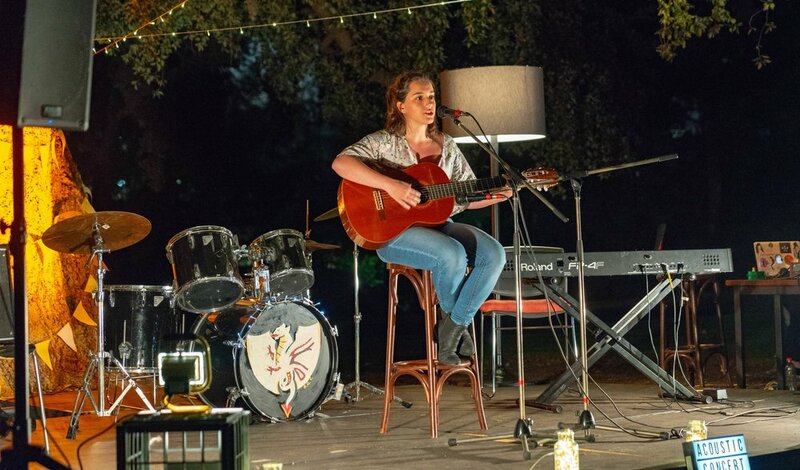 St George's residents take part in dozens of charity and community events around Perth, such as cooking for Ronald McDonald House, contributing to the annual St George's Spring Fair, and participating in the Cancer Council Relay for Life. If you're a postgraduate student, we're sure that you'll have a lot to contribute to our community. Many of our postgraduates take on tutor and supervisory positions or share their experiences at Fireside Chats. Our international students can run weekly language classes and share their culture at international events. We also provide English as a Second Language support via conversation and writing classes. One of our previous residents established True Blue Dreaming, a not-for-profit organisation committed to supporting and strengthening young lives in rural, remote communities via student mentoring programs.